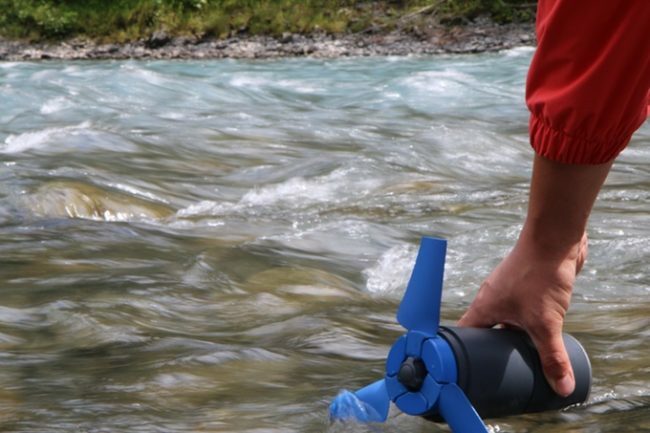 Any who recreates near or in moving water — kayakers, fly fishers, sailors, and even backpackers — will be interested in the new Estream portable power generator. Just throw it in the water while you play or sleep next to the river, and in the morning you enough stored up power to recharge your phone 3 times over. Even when you are off the grid, it's nice to be able to communicate once in awhile with those left at home, especially if you are traveling solo. My family gives me much less grief now when I head off on my crazy adventures just as long as I occasionally check in along the way and tell them everything is going ok.